Since 1981, Pools of Fun has focused on living our “people first” policy. We are Indiana’s largest pool company and offer an extensive range of designs, environments, styles, and features to suit backyards and budgets of all sizes. We have five customer care centers, all of which are open during every season, in addition to our fully staffed service center. 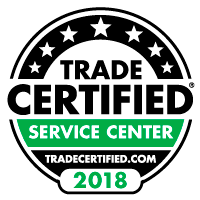 We encompass a “people first” offering of service, and this translates directly to our team – we maintain a comfortable and honest family atmosphere that includes our knowledgeable staff and certified technicians. With Pools of Fun, you’re working with experienced professionals. We’ve installed over 4,500 in-ground pools and boast a customer satisfaction rating of 98.5%. We offer the highest standards of service and craftsmanship in the tri-state area and employ more experienced staff in one division than many competitors have in their entire company. Our 35 years of experience and strong ties to the community have allowed us to meet our goal of maintaining long-term relationships with our valued customers, our neighbors and friends. As part of our community, we are committed to giving back – we sponsor many local organizations and school programs and raise $10,000 each year for the Susan G. Komen Foundation. We are a pool business. We are insured, follow local ordinances, and only hire qualified and skilled employees. 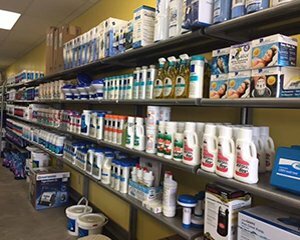 Pools of Fun is also an official warranty center for not only our products but also some of our competitor brands as well. 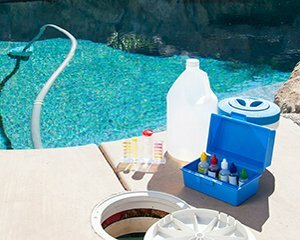 In addition, we offer the best products and services when compared to any other pool company in the area. We also acquire required permits and observe all zoning and code necessities. It may be less expensive to avoid the permits, insurance, and code compliance at the start of the project, but those become the homeowner’s responsibility at the time of installation. We often explain to homeowners that if they do not like the cost of properly completing the project at the beginning, they will hate the cost of correcting it later. Better pools are created through superior products and good people. 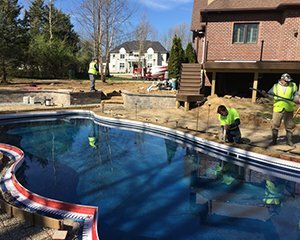 We are the largest pool builder in Indiana. Pools of Fun is a full-service company offering construction, retail and service. We utilize APSP trained and certified technicians. We are pool builders, not landscapers, home builders, or concrete contractors. Our average employee has been with the company for 12 years. In our construction division, this average is 16 years. We boast a top Better Business Bureau rating. We have five customer care locations. We’ll never ask you to pull the permit for your project. We take care of that for you. Pools of Fun is recognized for our quality by many professional organizations. We provide full in-house designs with 3D modeling. We are a Member of Pool and Spa News Top 50 Pool Builders in the USA. We achieve a Quality Assurance Referral Rating of at least 97.5% every year. Pools of Fun has been named #1 Automatic Safety Cover Installer in the USA. We are a Silver and Gold International Design Award of Excellence Winner for Pool Design by APSP. We have achieved multiple Bronze, Silver, and Gold Awards of Excellence for Pool Design by the APSP Region V Chapter. 86% of our sales are referrals from satisfied customers. We are the Pool Partner of the Indianapolis Colts. Pools of Fun has industry leading warranties. We are home of the 99% clean pool.